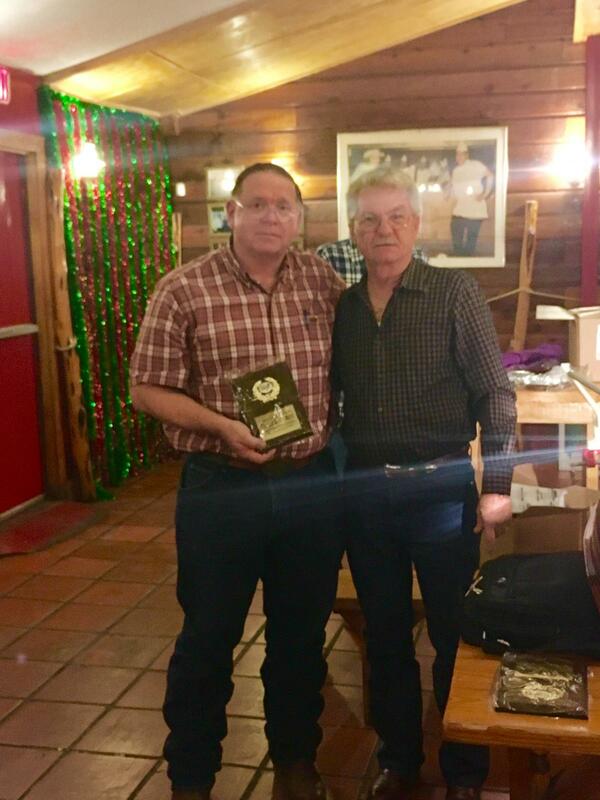 The Texas Pro Sedans Series 2016 annual Awards Dinner was held for TPS Drivers, Car Owners, Members, TPS Officials, Sponsors and TPS fans in San Antonio, Texas on Sunday, December 11, 2016. 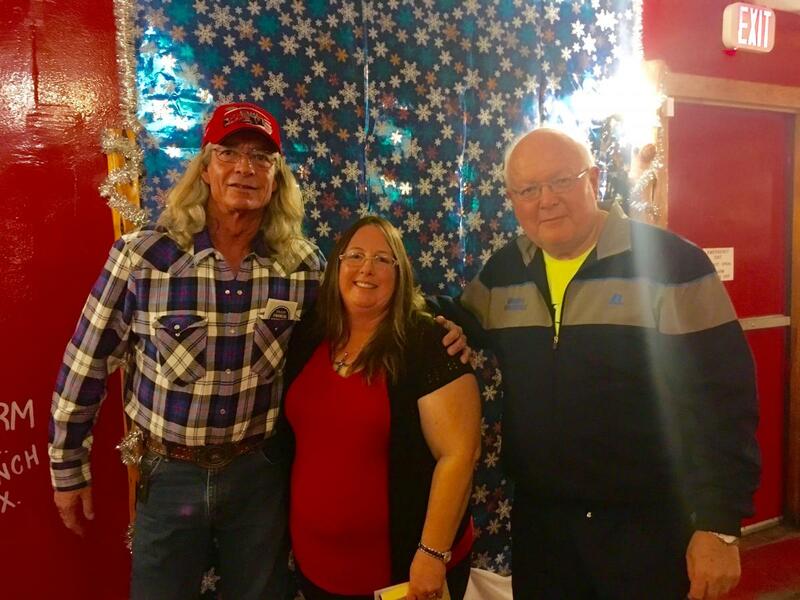 The annual affair was attended by a loyal group of TPS drivers and enthusiastic guests. The event was presented by co-master-of-ceremonies David Mackey and Neil Upchurch. The PROGRAM and AWARDS began with a brief Memorial remembering TPS members who passed during 2016, Robert Carter and Rico Gutierrez and family member Tracy Jordan. Receiving championship awards was the 2016 (now two time) Texas Pro Sedans Champion #1 James Hogan. 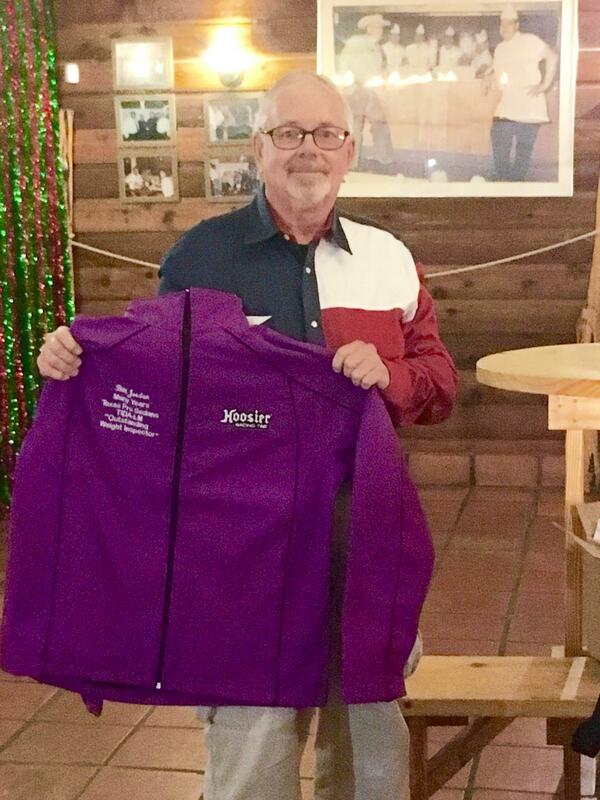 He was presented with a Texas Pro Sedans Champions Plaque and Hoosier Racing Tire Jacket. #59 Allan Garrido of Houston was absent. He will receive 2016 TPS “Rookie of the Year” awards, a TPS Champions Plaque and Hoosier Racing Tire Jacket at his first 2017 TPS race. 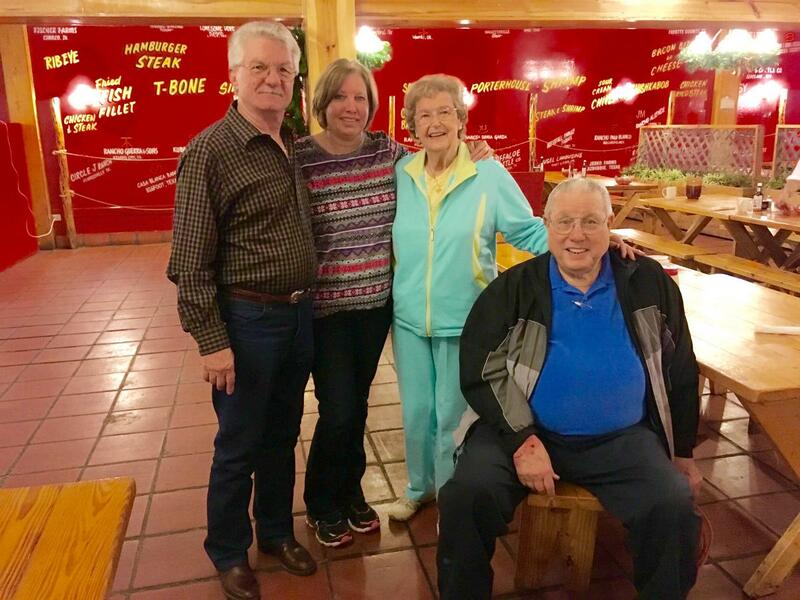 Patrick Limerick will receive another Texas Pro Sedans Major Sponsor Appreciation Plaque Award. Johnny Guerra will receive his third Texas Pro Sedans Participating Sponsor Appreciation Plaque Award. Both awards will be presented in person by Russ Martin, the TPS Representative in Corpus Christi. 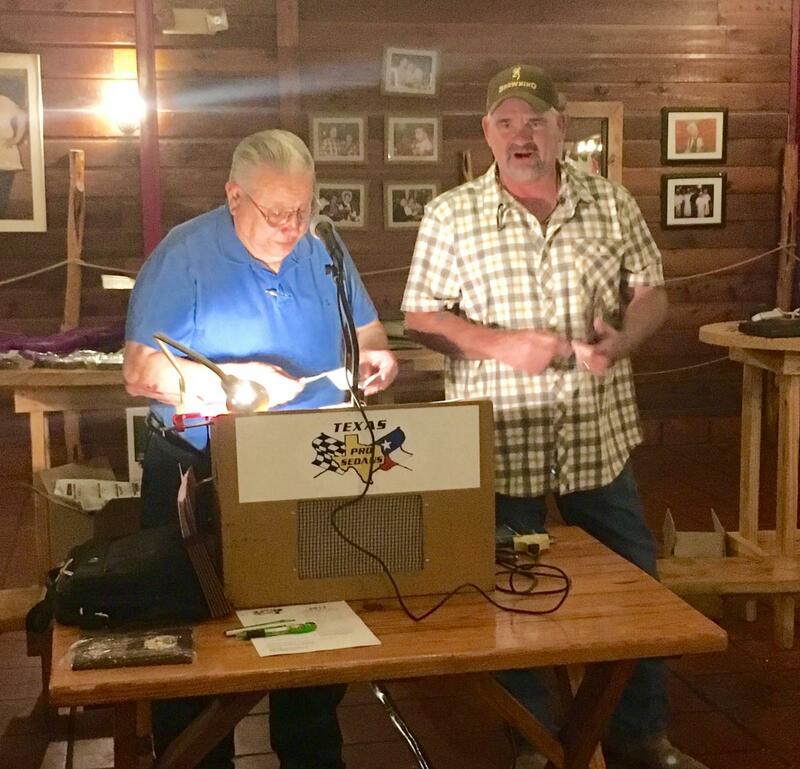 Central Texas Speedway was to receive an appreciation award plaque from all members of the Texas Pro Sedans, but the CTS representative was absent. Bobby Sanford and Jeff Meeks were presented Appreciation TPS Plaque Awards in recognition of TPS service and support. (Mike Knotts’ awards were previously presented). 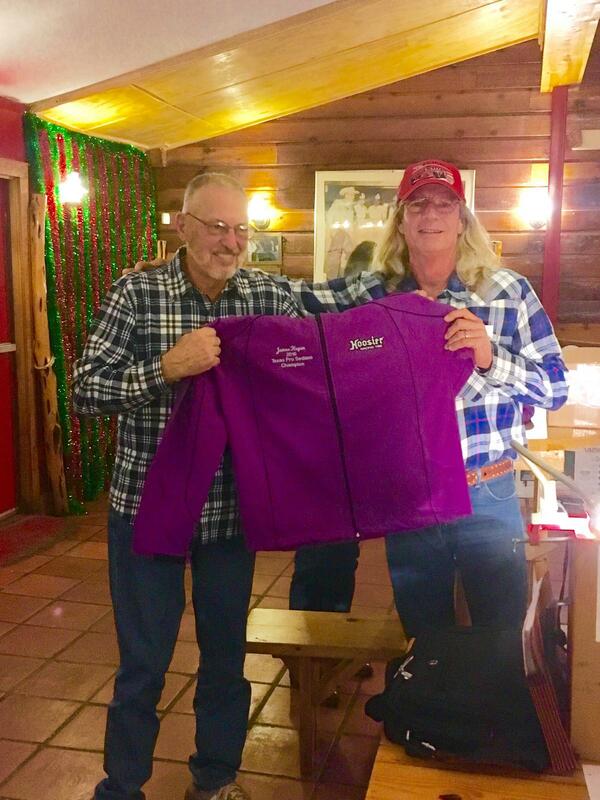 Bill Jordan received a Hoosier Racing Tire Jacket special award for his many years of service as a Texas Pro Sedan Weight Inspector and with the TIDA Late Model Series. 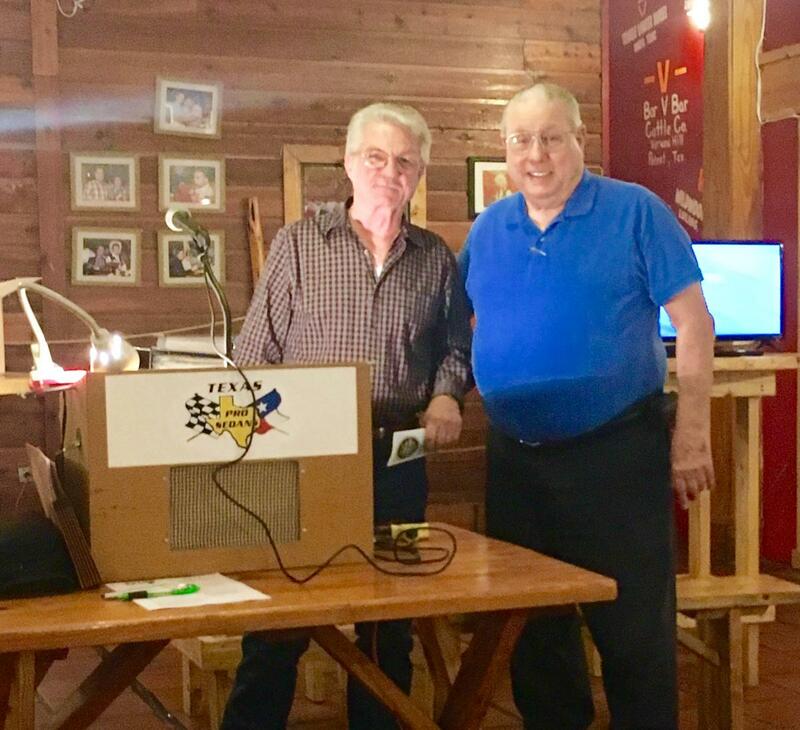 Bruce Mabrito presented his traditional poetic “ODE” which colorfully summarized the 2016 TPS racing season and Texas Pro Sedan season performance details, statistics and racing experiences and memorabilia. 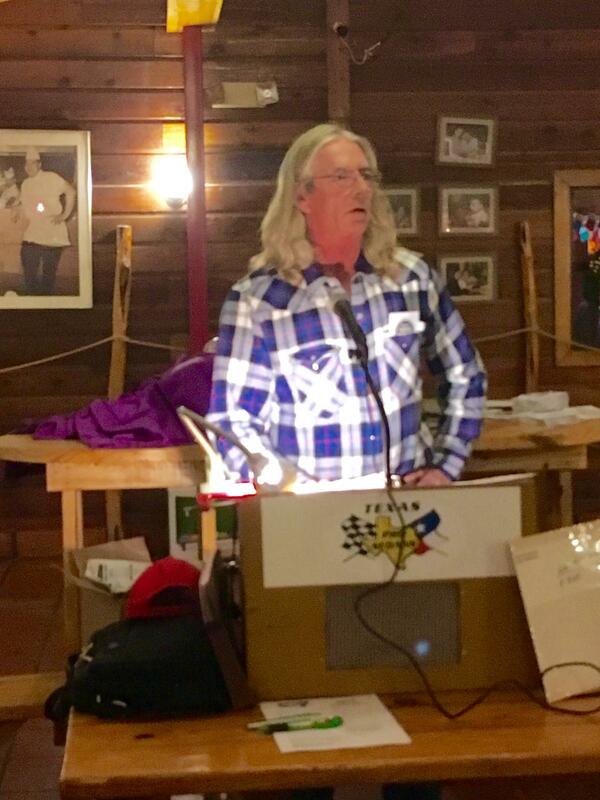 Following the Dinner and Awards presentations, the program concluded with the annual TPS Business Meeting. It was co-conducted by David Mackey and Neil Upchurch. The annual TPS business meeting was highlighted with the introduction of the new title for Jeff Meeks as “TPS Inspector”. Neil Upchurch announced his 2017 plans. His title expanded to “TPS Administrative Director”. 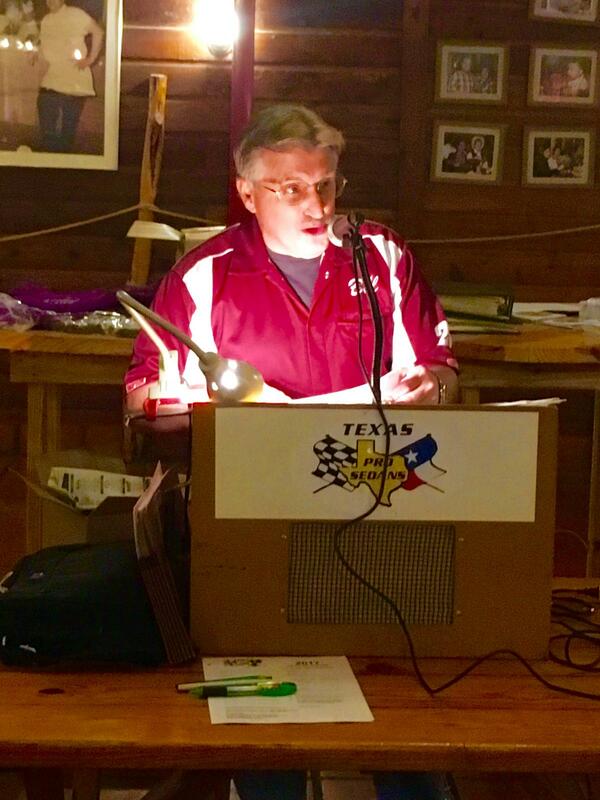 David Mackey assumed the new position of “TPS Competition Director at Central Texas Speedway”. Purse checks won at the final 2016 Texas Pro Sedans race on October 22 were distributed to drivers who attended. 2017 Membership Application forms were distributed and dues payments received to reserve 2017 car numbers. Plans for the 2017 Texas Pro Sedans racing series and schedule were discussed. Upchurch announced “the TPS 2017 Race Schedule during the 42nd season may be 7 to 9 races, all at CTS, probably from March or April thru October”. 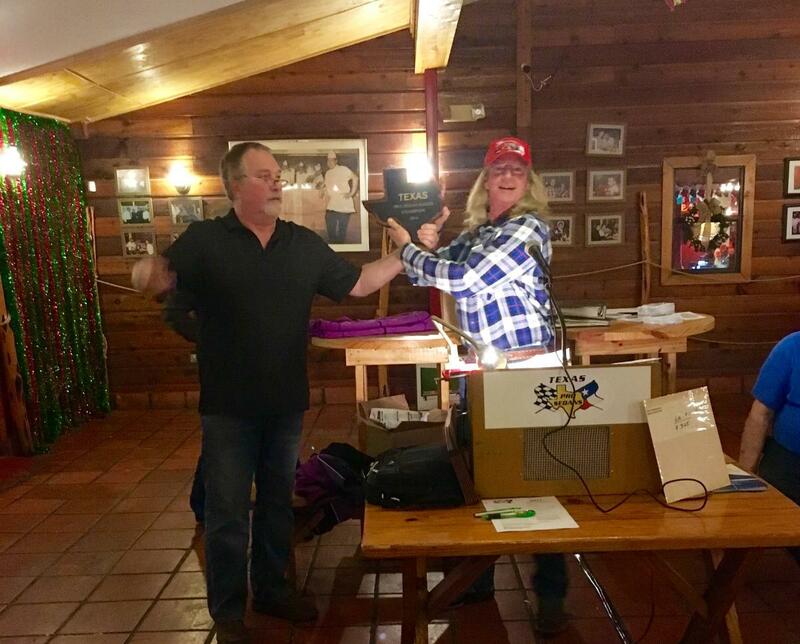 He also explained that “a 2017 Race Schedule News Release will be posted on line, on Speed Zone and www.texasprosedans.com and that “the 2017 Racing Schedule will also be e-mailed to all 2017 members”. All Texas Pro Sedans members, officials, sponsors and fans who attended the season ending event put an appropriate completion to the 41st consecutive TPS season and initiated the 42nd season of Texas Pro Sedans series racing.